Route and distribute calls based on CRM data such as lead owner or opportunity stage. Automatically route inbound calls to the right person. Easily set up skill based routing, round robin, and simulcall. 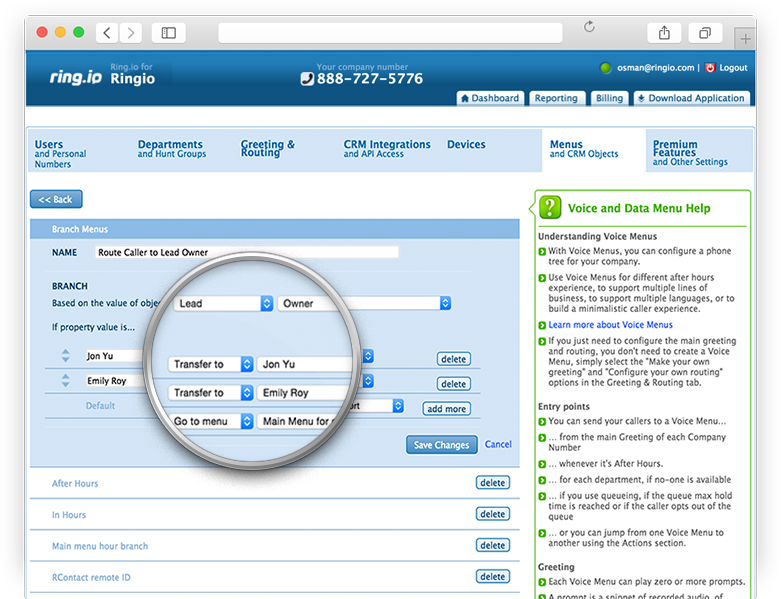 Ring.io can even route inbound callers based on Salesforce fields for powerful personalization. Route VIP customers to the a priority support line. Route inbound leads to the Salesforce lead owner. Route inbound callers to the last person they spoke to. Route callers exactly how you want to. Create the best caller experience possible and improve productivity when handling large volumes of inbound calls. Set up routing rules based on any Salesforce field, including fields on custom objects. With this deep integration with Salesforce, your routing options are limitless.